Lovely Paulette Castle, R.N., tossed her red hair defiantly. She wasn’t the first young woman to be jilted, nor would she be the last. Now she was vacationing with her best friend at a resort-hotel in the Southwest. Occasionally, despite the much-needed change of scene, she felt the tears smarting behind her eyes. 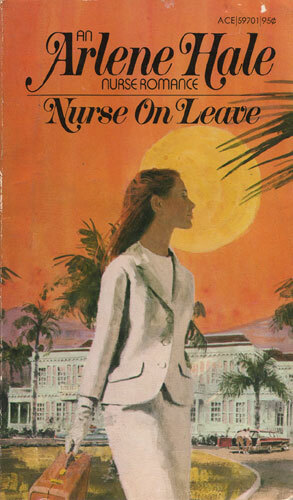 But an unexpected emergency at the resort drove everything else out of her head when the attractive hotel doctor, Ross Lane, asked for her help in taking care of an accident victim — a handsome young man named Boyd Sheridan. As the patient slowly recovered, Paulette wished she could forget her ex-fiance, but he kept cropping into her thoughts…But time passed, and Paulette felt closer to the new men in her life. Then, in a revelation like that of the bright morning sun she realized whom she loved as she’d never loved before — and whom she was going to marry.